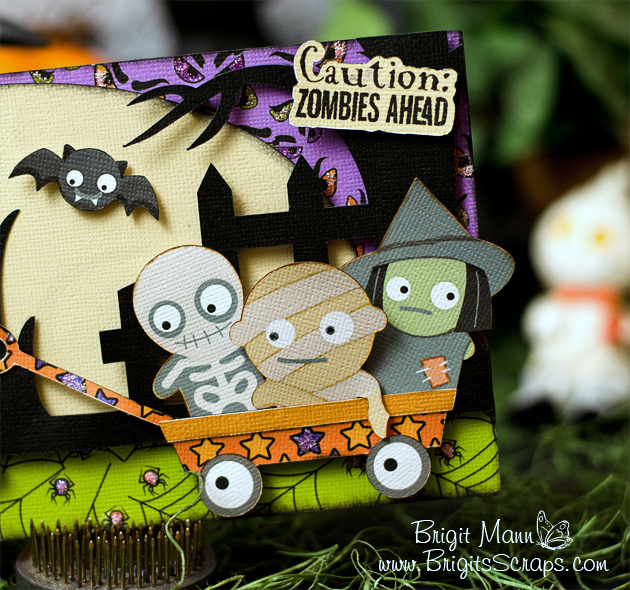 Brigit's Scraps "Where Scraps Become Treasures": It's A Zombie Apocalypse! 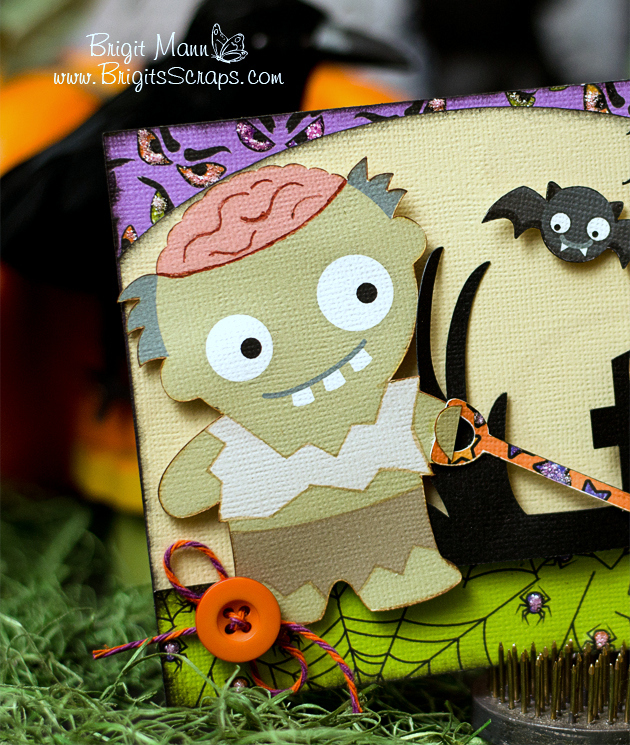 I'm so excited the Halloween Spooktacular Fun has started over at SVGCuts! 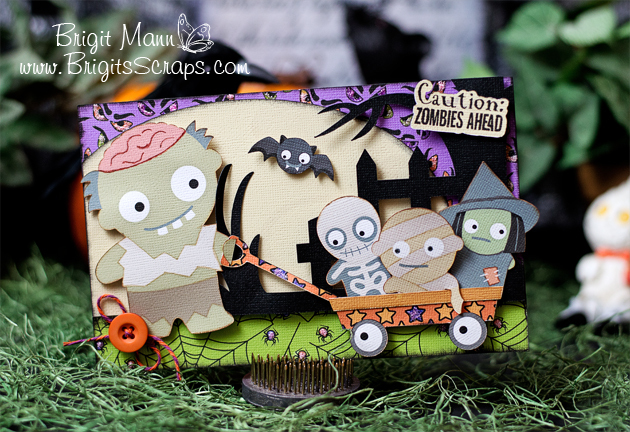 I love making Halloween crafts and this Spooky Cuties card was so much fun to make, it really came to life as I was putting it together. Most of the pieces are print n cuts so it really was a quick project, if I cut out all the pieces individually it would have take a little more time. My family and I are such big Walking Dead fans so this card is definitely one of my favorites. I'll be displaying it on my mantle for sure. I cut off his hand and glued the piece on top of the wagon, it makes it really look like he's pulling it. I also used marker and outlines some of the areas just to give the pnc a little more dimension. I used some of Trendy Twine's newest color Trick or Treat, I love this color combo!! I think the cuties are so adorable, the other collections are just as cute as these ones. The stamp is a punkin patch stamp and the digital paper is Frights & Delights from the Teachers Pay Teachers site. I added some stickles to the eyes and the spiders, you can't see so well but it does give them a nice sparkle. For a list of files and supplies used and directions visit my SVGCuts Design Team Page. Hope you enjoyed my project!! Can you share with me your secrets to taking such great photos? OMG!! I seriously LOVE this!! This is absolutely amazing! I love halloween so much and this is one of my favorite projects. I just seen the coffin test tube holders you made and Its also up there now with favs! I love everything you make!